Large 6 bedroom 4 bath executive home in Alpine Subdivision, beautiful post & beam construction, vaulted ceilings w skylights, warm wood flooring w custom lighting, sound throughout, wood burning stone fireplace, media room, boot warmers, chef's kitchen w walk-in pantry, glass wine showcase, expansive deck w fire table, patio furniture & BBQ. 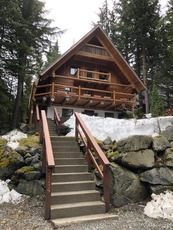 Lower level has a large terrace w hot tub & sound system, steam shower, gym/yoga studio & 2 spacious guest rooms w queen bunks for kids, extensive storage. Master bedroom has mountain views, spa bathroom, private deck w hot tub & sound. Close to Meadow Park & Community Centre, golf courses, trails, Nesters & new Rainbow Plaza. Hot tub service and mechanical snow removal are included with the rental rate $12500/month plus utilities. Wait list Applications for Rainbow Plaza are being accepted. 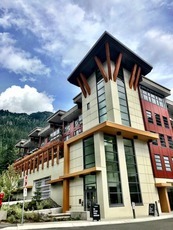 These units are RESIDENT RESTRICTED.Tenants are required to be Canadian residents/Permanent Residents who are employed in Whistler for min 20/hr per week. 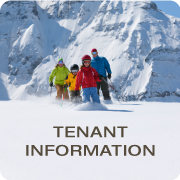 ALL UNITS ARE CURRENTLY OCCUPIED however, you may fill out a tenancy application to be added to the wait list. Only applications submitted online will be considered. Please ensure you refer to RAINBOW PLAZA in the notes section of the application. 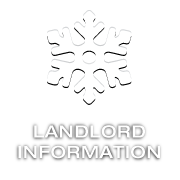 Tenants will be selected from the most suitable applications and not based on the order of application date. Expansive and modern - this above ground 2 bedroom suite has it's own private entrance and is split over 2 levels. Available on a 12 month term from April 1st. Please ensure you research WedgeWoods' location - a vehicle is required. Be the first to rent this brand new 3,580 square foot home. With excellent sun exposure and beautiful mountain views this is the perfect place to call home. 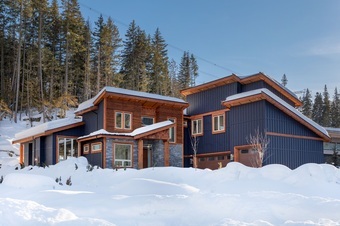 4 bedrooms plus a den with huge open plan living, kitchen and dining areas that spill out to a spectacular outdoor entertaining area – that includes a covered/heated rear patio with fireplace and a huge outdoor kitchen. Available on a 12 month term, No smoking, with consideration of pets. 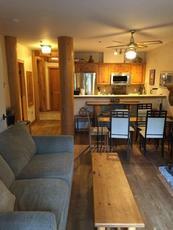 Quality 2 bedroom and 2 bathroom unit in Gondola Six for Summer Seasonal rental. Well finished and furnished with stainless appliances. 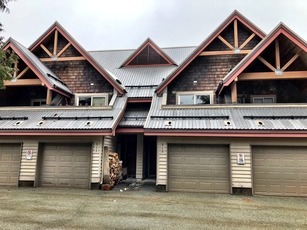 Large wraparound deck with spectacular views over Sproatt Mountain. Freshly renovated, large and luxurious master bathroom with soaker tub and double steam shower. Available May 1st - October 31st - utilities not included. 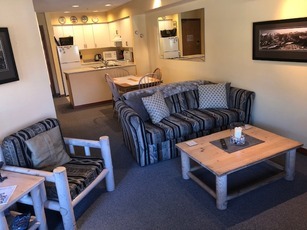 1 bedroom 1 bathroom condo in the amazing Lake Placid Lodge, Cozy unit with d/w, f/p, private patio. Completely renovated common pool and hot tub with bbq area. Short walk to everything in Creekside. 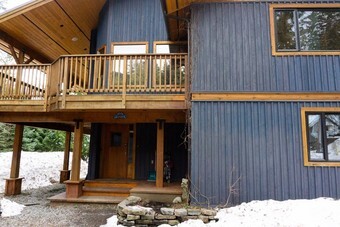 Available May 1st- October 31st for $1900/month plus hydro. 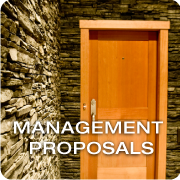 Contact craigh@mountaincountry.ca for more details. Large 6 bedroom 4 bath executive home in Alpine Subdivision, beautiful post & beam construction, vaulted ceilings w skylights, warm wood flooring w custom lighting, sound throughout, wood burning stone fireplace, media room, boot warmers, chef's kitchen w walk-in pantry, glass wine showcase, expansive deck w fire table, patio furniture & BBQ. Lower level has a large terrace w hot tub & sound system, steam shower, gym/yoga studio & 2 spacious guest rooms w queen bunks for kids, extensive storage. Master bedroom has mountain views, spa bathroom, private deck w hot tub & sound. Close to Meadow Park & Community Centre, golf courses, trails, Nesters & new Rainbow Plaza. Mechanical snow removal included and hot tub maintenance included. $12500/month plus utilities. 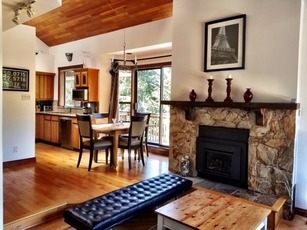 Very clean and very private fully furnished 1 bed, 1 bath unit near the Dave Murray Downhill in Nordic. Perfectly suited for a mature professional or couple. © 2009 All rights reserved. 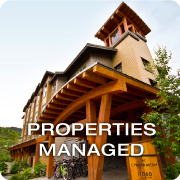 Mountain Country Property Management Ltd.